I love to entertain. And Spring is one of my favorite seasons! In January, when everyone else is making resolutions and plans for the year, I’m often feeling foggy and still in hibernation mode from the Winter holidays. I’m never quite ready to forge into the new year when January 1st hits. By Spring, however, I’m feeling awakened with quite literally a spring in my step, ready for my annual plans to bloom! The Spring holidays are a celebration of this growth and awakening for me and a springboard (no pun intended!) into the year. Passover always falls at the beginning of this period so it’s no surprise that it’s one of my favorite holidays. I liken Passover to a “Jewish Thanksgiving” because it is the feast of all feasts. We tell the story of Passover through a Haggadah—the book that guides us through a traditional Seder (Passover meal). But not all of us are lucky enough to attend vegan Passover seders. In fact, most of us won’t have that luxury. And what if you’re vegan and hosting a seder, but none of your guests are vegan? As the only vegan at the seder, hosting can be challenging. I go all-out for Passover, and wouldn’t have it any other way. But I remember the first time I hosted the holiday after becoming vegan. I was anxious and stressed about pleasing everyone with traditional foods and dishes while still trying to honor my values and vegan ideals. It wasn’t until I connected the heart of the holiday: Jewish people’s freedom, with the effort to free animals from inhumane practices, that I found a way to transform my seders into something very special. Today, I always host at least one seder for my family and friends. And I’m told it’s one of their favorite holidays at my home. 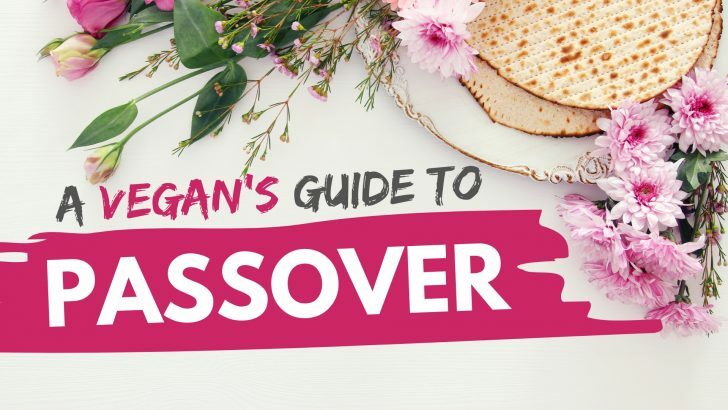 By accident, Passover has become my favorite occasion to introduce my non-vegan friends and family to plant-based foods and compassionate living. So how does one host Passover as the only vegan? Read on! First and foremost as the host, it’s up to you to set the tone of the celebration. Many people associate specific foods with holidays. If you’re hosting a vegan Passover seder, guests may wonder if that means an all vegan meal. If they’ve come to expect certain traditional dishes for Passover (for example, lamb or gefilte fish), they may panic if they arrive and discover them missing from the menu. Instead, set expectations for the occasion and meal well in advance. 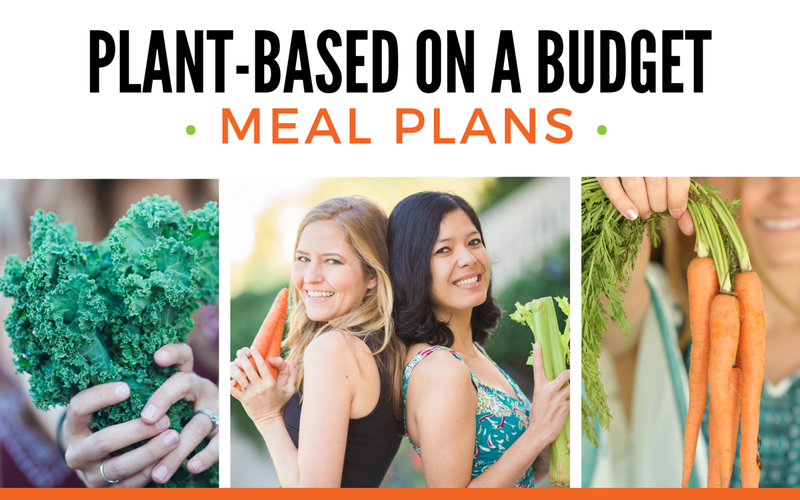 Decide if you will allow your guests to bring non-vegan dishes or if you’ll insist upon a plant-based-only affair. Communicate with your friends and family and let them know your intention for the holiday, and thank them in advance for their support. Many people may want to bring something when they come over to your home for a meal. If you’ve got the meal covered, you can always invite them to bring wine or other drinks instead. 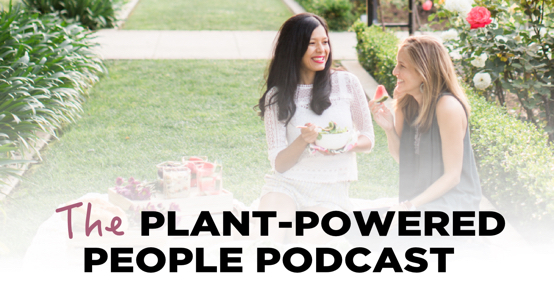 If you’re the only vegan, assume that your guests have no experience with plant-based foods. Well-intentioned guests may be bring something they think is vegan, for you only to discover that it has butter or honey in it. Bypass this from the beginning and reach out to your guests when you are planning your menu. Find out it if they are planning to bring anything. If so, thank them for their generosity and remind them of the expectations of the ingredients at the seder. This will make life easier for your guests and ensure that you have a delicious vegan meal! If you’re a long-time vegan you know that it’s super-easy to adjust recipes to make them vegan. But if you’re not vegan, you may not be aware of this. Charoset, for example, traditionally uses honey but agave is an easy swap that no one will even notice. Matzoh ball soup is also easily vegan using the fantastic egg replacers in the market (such as Just Egg and the VeganEgg ) in the matzoh ball mix. Your friends and family won’t know the difference. Your guests may not realize that there is widely available vegan butter, vegan cheese, and vegan ice cream. Let them know, and help make any substitutions they’ll need to make in their recipes easy for them! Your festive meal is not the time to break out the vegan ham or other faux meat dishes. Those foods will only highlight the traditional foods that your omnivorous guests are missing. 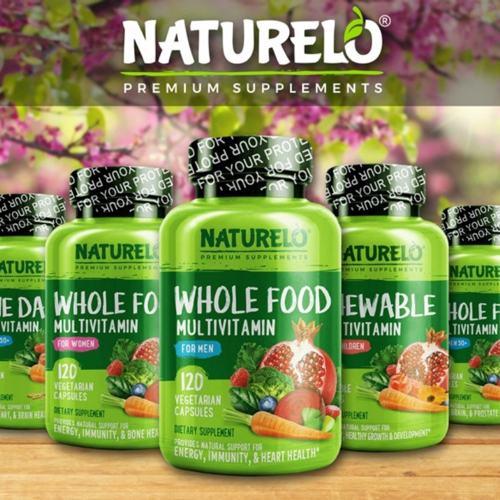 It will also likely create an unfavorable comparison if they haven’t exposed their palettes to plant-based foods before. 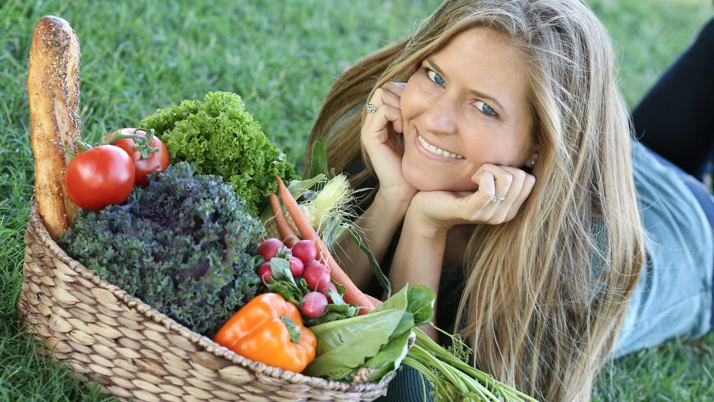 Instead, focus on whole, plant-based foods that are so delicious and familiar that people won’t even miss the meat. Salads and sides featuring Spring vegetables like asparagus, green beans, peas, and artichokes are all wonderful choices. Vegetable dishes such as ratatouille or spiralized vegetables with vegan pesto are also beautiful selections to add to the table. Surprise your guests with some upgraded versions of Passover favorites! This plant-based chopped liver by Jewish Food Hero is a crowd pleaser. And what’s a Passover Seder without matzo ball soup? 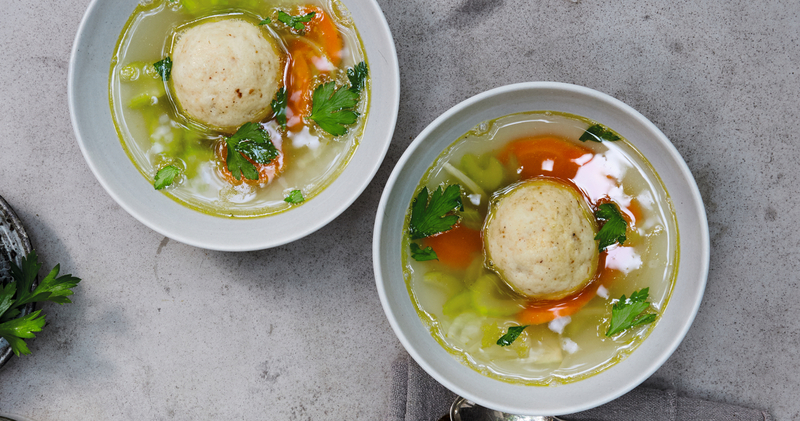 This vegan matzo ball soup recipe will ensure that no one misses the traditional start to the meal. Upgrade to a Vegan Seder Plate! A plant-based perspective offers a wonderful opportunity to incorporate new traditions into your celebration. I’ll share a few of these ideas that have become mainstays in my family’s Passovers. The first, of course, is the seder plate! A Seder plate is the centerpiece of the Passover seder, and traditionally includes six symbolic foods—some of which are eaten, and other just displayed, at the seder. Of the 6, four are already vegan: matzah, charoset, “maror” (bitter herbs), and “karpas” (vegetables). The two non-vegan seder plate items are the shank bone and the hard-boiled egg. These aren’t used during the Seder, so you can easily replace them with other items. Replace the traditional shank bone with a roasted beet to represent God’s mighty arm that convinced the Egyptians to free the slaves. Swap the hard-boiled egg for an avocado seed to signify the second sacrifice that was offered on the eve of Passover at the Temple. Many of the seder plate items have different interpretations in terms of what they signify. For those who interpret the hard-boiled egg to represent a symbol of fertility and renewal, then our friends at Jewish Veg recommend using a flower (or any other symbol of Spring) as a substitute. Get creative and design your own new, more compassionate symbols and traditions! Instead of sitting through the entire seder without food until the part where the festive meal is served, remind your guests that it was a common custom in ancient times to begin meals with fresh vegetable hors d’oeuvres (dipping karpas). Relive the ancient tradition by providing a vegan crudite platter (sans leavened bread, of course) and a variety of hummuses to eat throughout the Seder. Add “Matzoh of Hope” to your table not only as a symbol of hope for those Jews throughout the world who are not free, but also for all the animals enslaved on factory farms. Incorporate this matzoh into your Haggadah. Although food is a major focus at any holiday, remember that the true purpose is the connection and enrichment of our families and communities together. Happy Pesah!